UNESCO Creative Cities (UNESCO Cities of Design) are collecting case studies in order to share information on design education and learning. The focus is on children and youth. The cities are requested to share experiences and lessons learned with each other. Collecting the case studies aims to initiate design educational “city experiments” with schools within the creative cities. The case studies will be published here on this very website. There are two case studies available right now that explain how a Design Education project is done in Helsinki. The first case study is called “City as Designer – Children’s Urban Research Lab”, the second “Playground Equipment Lehnding Service”. More cases are coming soon. The concept was designed by Creative Urban Research Lab (CURL): activist/artist Lauri Jäntti and urban geographer Noora Pyyry (University of Helsinki). CURL develops new forms of participation to urban planning and produces important knowledge to policy makers and planners. 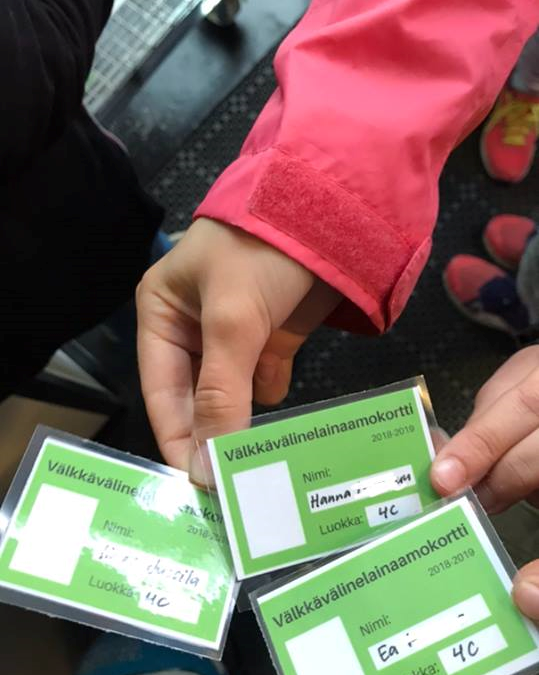 The project was conducted with 6th grade students and their teacher, Tiia Niskanen, from Yhtenäiskoulu school in Helsinki, Finland as part of the Helsinki Design Week 2018, the biggest design festival in the Nordic Countries. The project integrates children’s geographical interests into the school curriculum, and motivates their learning by placing them as co-leaders of the project. In the project, the city has an active role in guiding the learning process and the methods have been designed to support sensitivity and care towards the urban (learning) environment. The project is informed by place-based education (PBE), where different informal learning environments act as settings for education and/or community collaboration (Pyyry 2015b). This project is suitable for children between the ages of 7 to 18, with small modifications according to the capability level of the students. This case links to UN Goal 11: “Make cities inclusive, safe, resilient and sustainable”. By promoting children’s genuine engagement with their urban environments, their relationship to the city is strengthened. A meaningful relationship with one’s surroundings fosters care, both towards the city and toward the world at large. This project was linked to Helsinki’s new urban strategy of expanding the central pedestrian zone. The participating children were heard by policymakers at a closing seminar of the project at the City’s participatory platform, Laituri. The project requires some lessons on maps, mapping techniques and embodied research methods beforehand (minimum 4 lessons before the actual research is carried out in the city). The project can be carried out in 2 to 3 days, but it would be better to reserve a week. CURL emphasizes the need to equip children with 21st Century skills (see Finnish national core curriculum for basic education). CURL is a pilot for phenomenon-based learning (PBL) in urban geography. The aim is to build understanding of complex urban issues and foster the students’ care for their urban environments. The emphasis was on the body as a research instrument, which continuously produces knowledge of its environment. During the week, the city was explored with different non-representational methods without the forced need of gathering evidence (Pyyry 2016). The idea was to sensitize the body to its environment and carve space for alternative ways of thinking, as well as to support children’s role as researchers. Creative methods addressed topics that could otherwise be left without much attention and brought playfulness to the learning process. 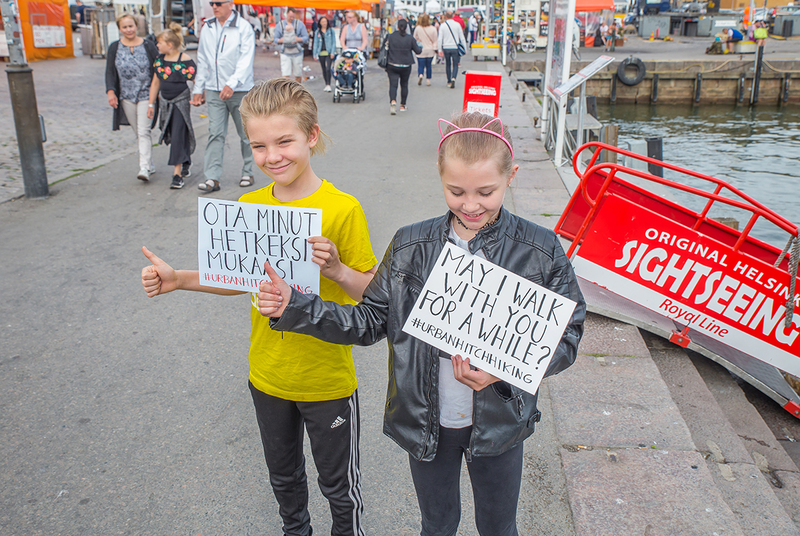 The city had an active role in the process: rhythms, sounds and scents of the urban environment invited the students to follow the city’s lead. This type of imaginative experimentation cultivates engagement and care towards the built city and other people (Pyyry 2017). It generates understanding of the ways in which different spaces take part in making us who we are, and open up space for difference. During the project week, each day had its own theme and methodological perspective. 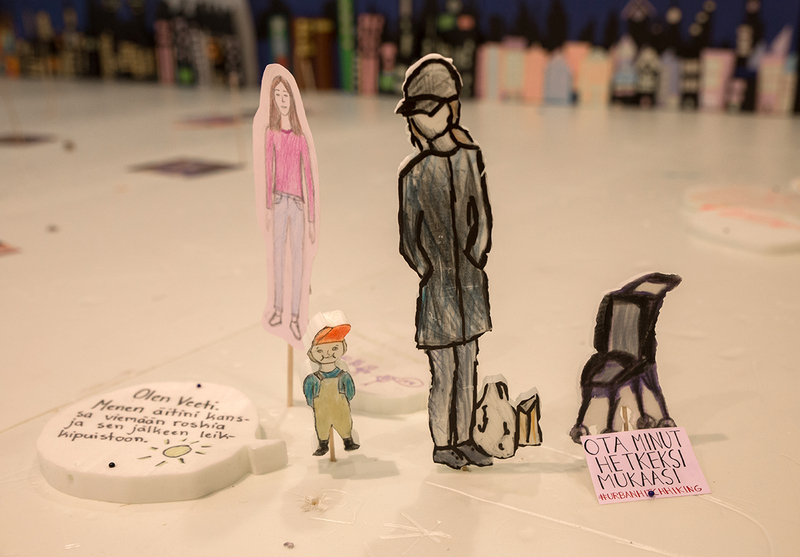 Helsinki City Hall was both a meeting point to the children and an ongoing exhibition to fellow urban dwellers, as children gathered there in the afternoons to work on an installation of their ‘Own Helsinki’. 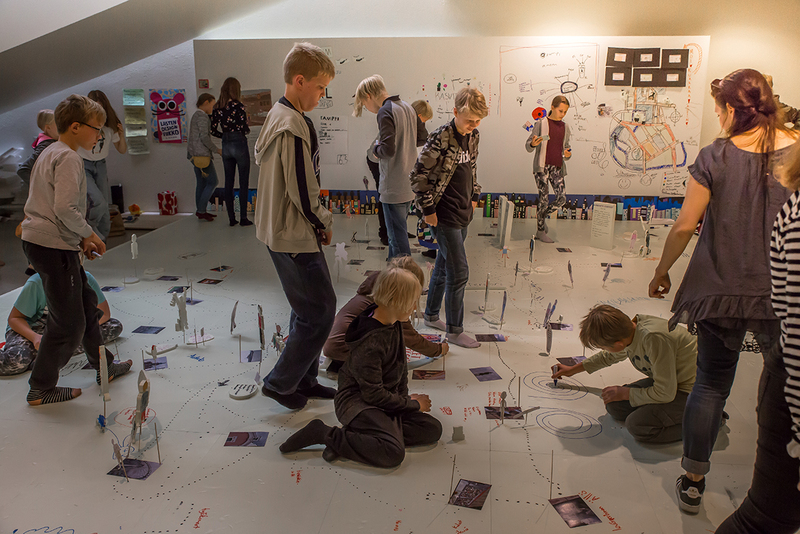 Children’s urban explorations were visualized in what started as a 48m² (6m x 8m) ‘empty map’. The map was gradually filled with imaginations of urban elements during the research week. On the 1st day, the students researched the city by sound-inspired photo-walks (see Pyyry 2015a). 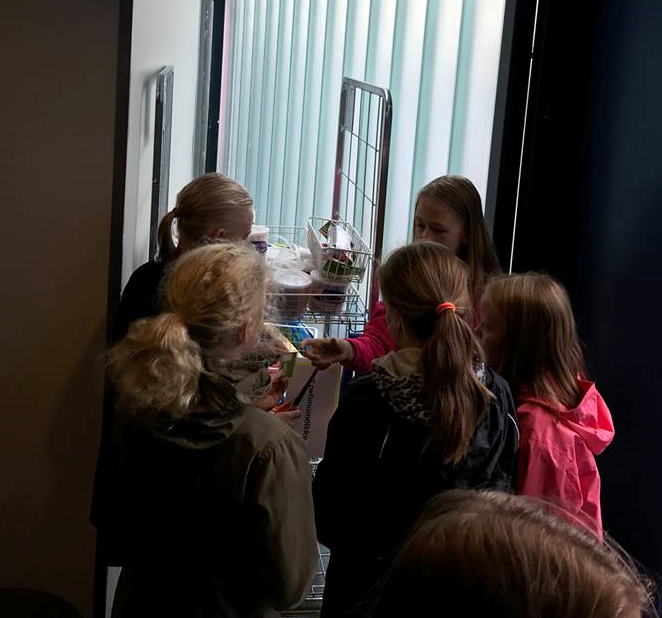 On the 2nd day, they conducted observations at a chosen shopping mall (due to a rainy day). On the 3rd day, students performed experimentations with urban hitchhiking (Malla et al. 2017). On the 4th day, they planned and conducted research with their own methods. On the last day they concentrated on building the map installation. Evaluation included informal talks with the students in groups, map making and drawing at school after the project week. Mapping platform of 48m² XPS-board, pens, markers, paint, paper, cardboard, wooden sticks, invite signs for urban hitchhiking. Mobile phone cameras (every student had their own), photo-printing paper. The project can be implemented with less materials, so there is no need for this much equipment (markers & cardboard, paper & wooden sticks suffice). The project succeeded in encouraging students to approach urban spaces in creative ways. The playfulness of the project both opened up new thinking and (re-)built existing social ties. By placing value to the students’ own interests and knowledge, different types of learners succeeded and voiced their views in the project. The school institution carries certain pre-supposed ideas of what learning can be. The students were therefore a little confused of what was expected of them. 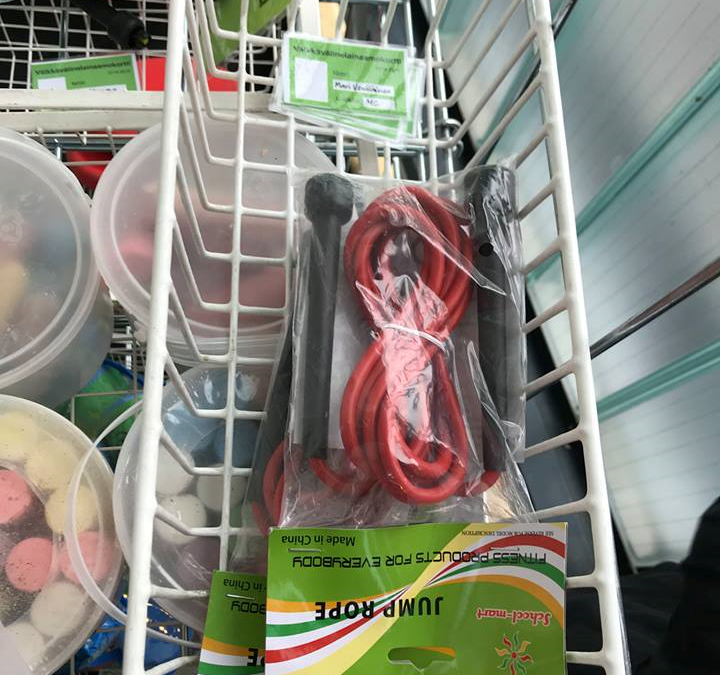 The project’s aim of going against the goal-oriented ways of learning would need more time for preparation, so that children could freely follow their interests. Malla, T., Kholina, A. & Jäntti, L. (2017). Urban hitchhiking: Wandering with others as a research method. Journal of the Finnish Anthropological Society, 42(3), 41–51. Pyyry, N. (2017). Thinking with broken glass: creating pedagogical spaces of enchantment in the city. Environmental Education Research, 10, 1391–1401. Pyyry, N. (2016). Learning with the city via enchantment: photo-walks as creative encounters. Discourse: Studies in the Cultural Politics of Education, 37 (1), 102–115. Pyyry, N. (2015a). ‘Sensing with’ photography and ‘thinking with’ photographs in research into teenage girls’ hanging out. Children’s Geographies, 13(2), 149–163. Pyyry, N. (2015b). Geographies of hanging out: Connecting everyday experiences with formal education. In Blazek, M. & Kraftl, P. (eds.) Children’s Emotions in Policy and Practice: Mapping and Making Spaces of Childhood, 107–121. Palgrave Macmillan. To plan, test and evaluate a design project, which aimed to improve one’s own living environment. The students chose a UN Sustainable Development Goal: Good Health and Well-being as an initial objective for their work. They identified development tasks and problems that they faced in their own living environment and everyday life. After brainstorming session, they chose one topic to solve. The identified problem was that students in comprehensive school exercised too little and spend almost the whole day sitting, both during lessons and breaks. Recess activities were only a few and more variety of opportunities were on students’ wish list. As their project work, the participating students designed a Playground Equipment Lending Service and a library card system to improve quality of the recess activities. The students borrowed a metal cart from the school diner for their prototype and attached recycled metal baskets to the cart. 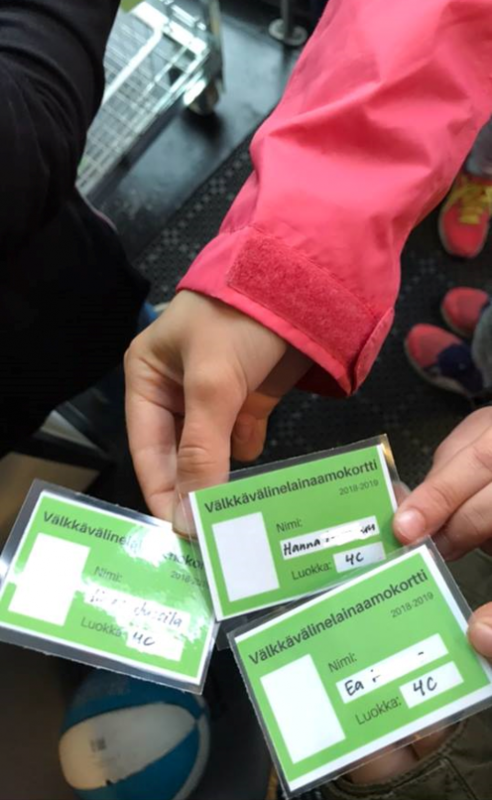 To create a loan card-system, the students listed all the items that were included in the service. 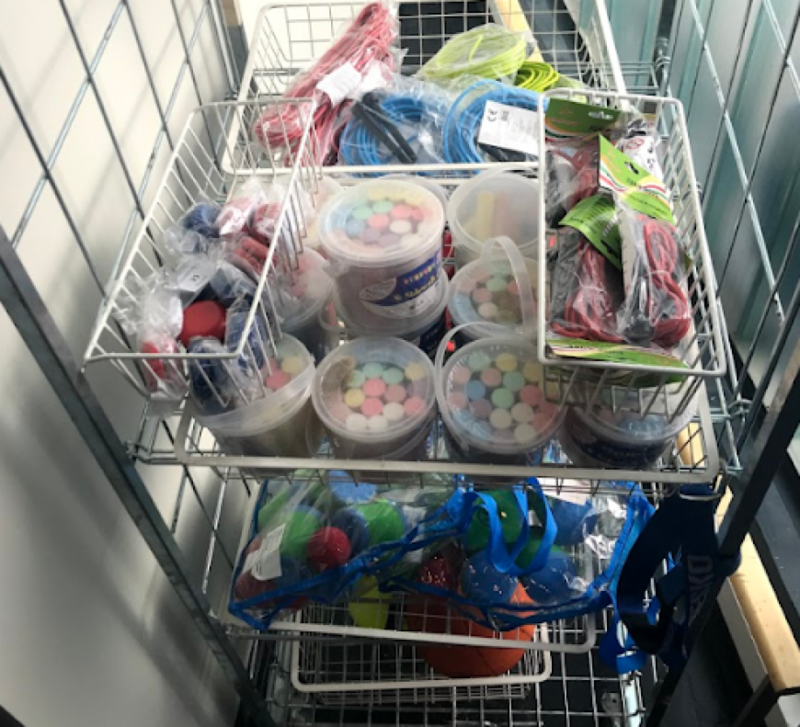 Once a student came to borrow a playground equipment from the cart, the corresponding card was put into the basket while the equipment was in loan. 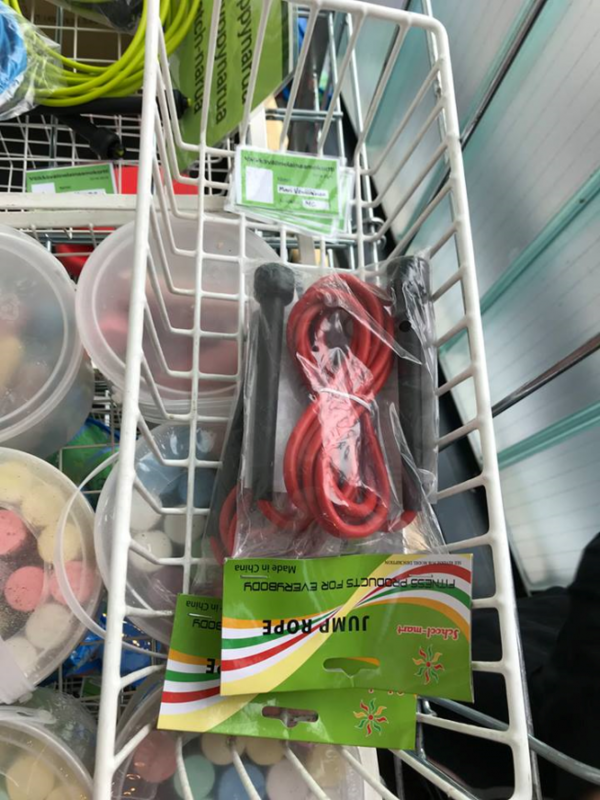 Therefore, at the end of the recess, it was easy to identify, if anything was missing from the cart, and not yet to be returned to the service. The prototype became a permanent solution to the school. The students succeeded in desigining a project, which developed our school culture and well-being of our students. The project requires continuous maintenance. While developing the idea, the instructions for creative problem solving, is always difficult, but also part of the game.